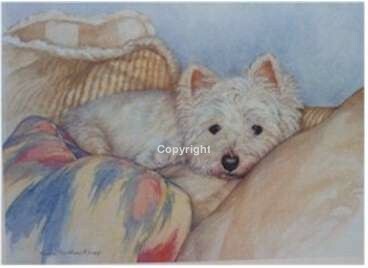 Full color (11" x 14") Archival Giclee Print with Letter of Authenticity, $100.00. 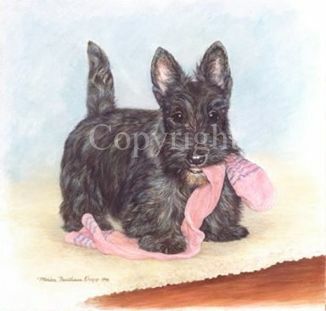 Each is pencil signed and numbered, printed on acid free stock. 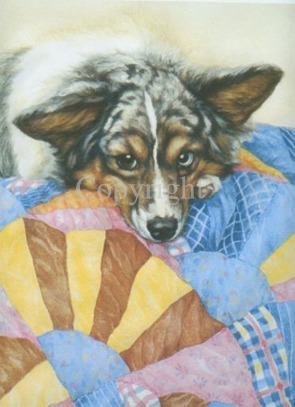 Full Color (11" x 14") Limited Edition Print, $50.00. 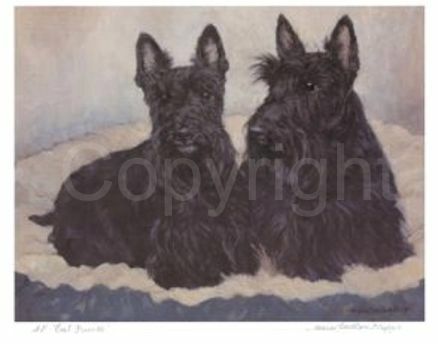 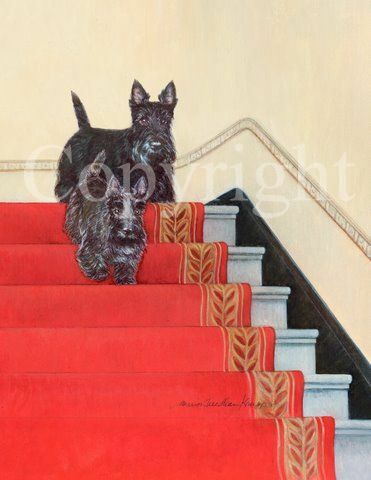 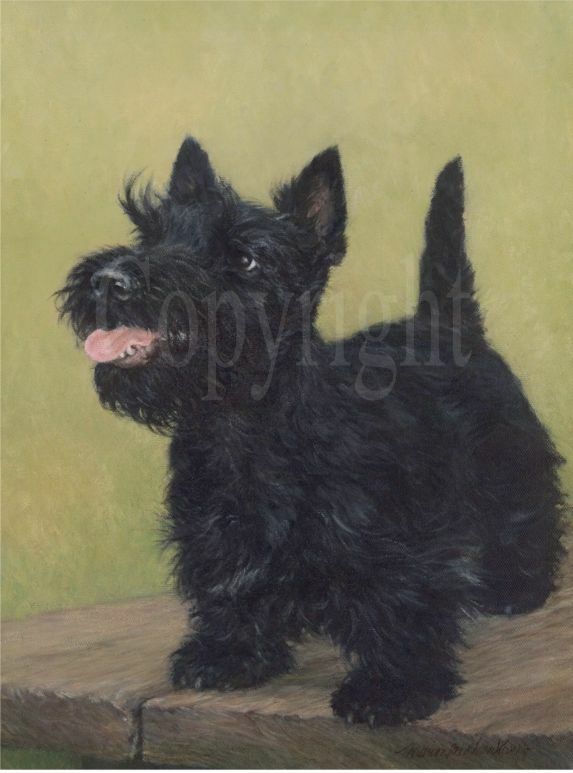 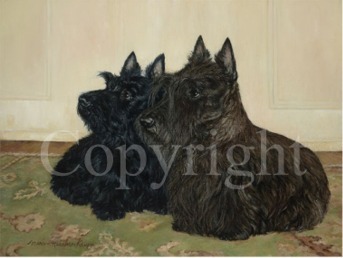 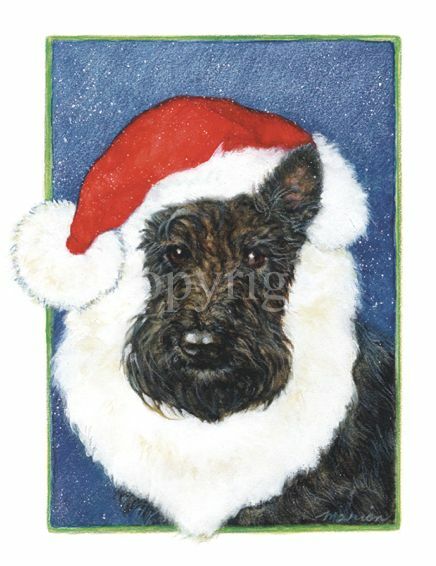 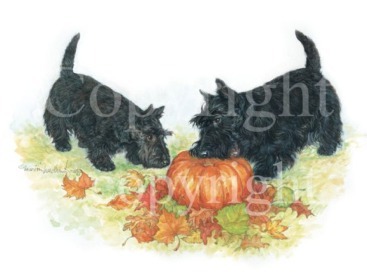 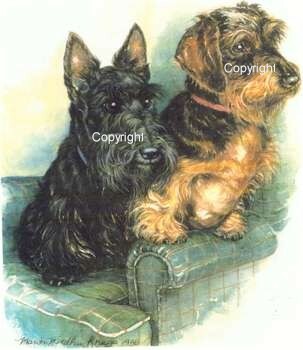 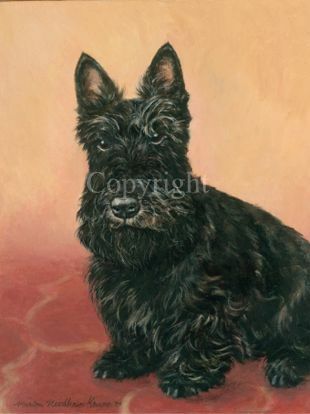 Marion Needham Krupp has a new limited edition print available, "Waiting for Dad," of a Scottish Terrier and Wirehaired Dachshund sitting in a chair looking expectantly for Dad's return. 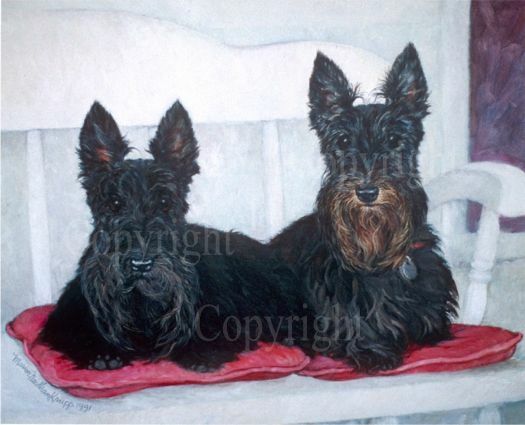 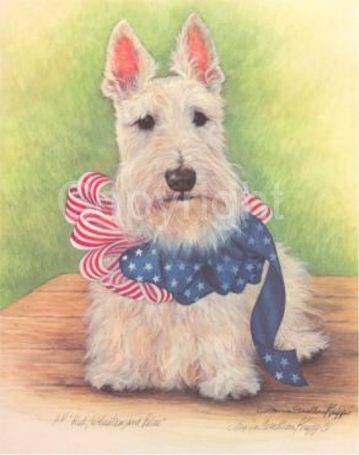 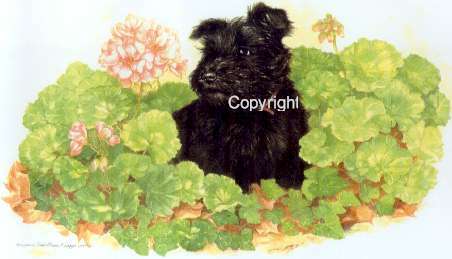 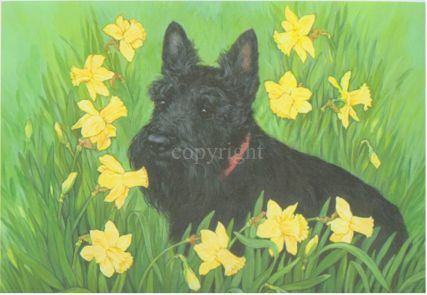 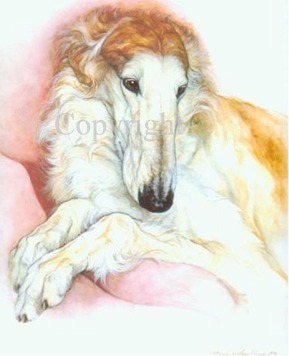 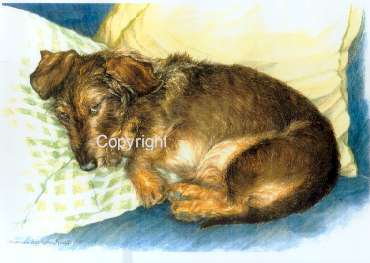 The original gouache painting, a Best of Show winner at the Art Show at the Dog Show is in the permanent collection of the AKC Museum of the Dog. 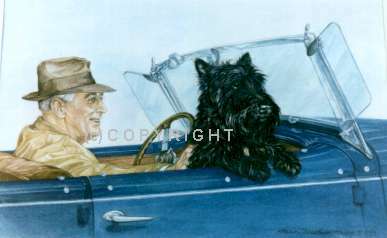 Full color (14" x 18") Limited Edition Print, $75.00.